McCloud is blessed with clean air and abundant, pure water. Beautiful views of snow-covered Mt. 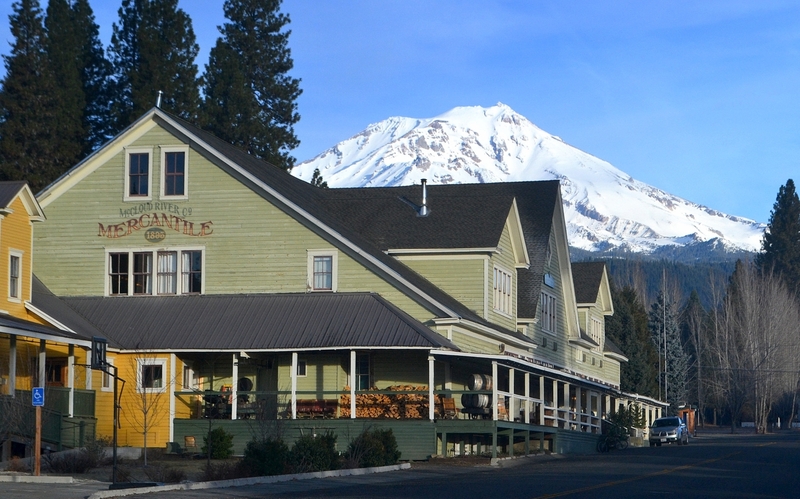 Shasta form a backdrop for the tranquil town. 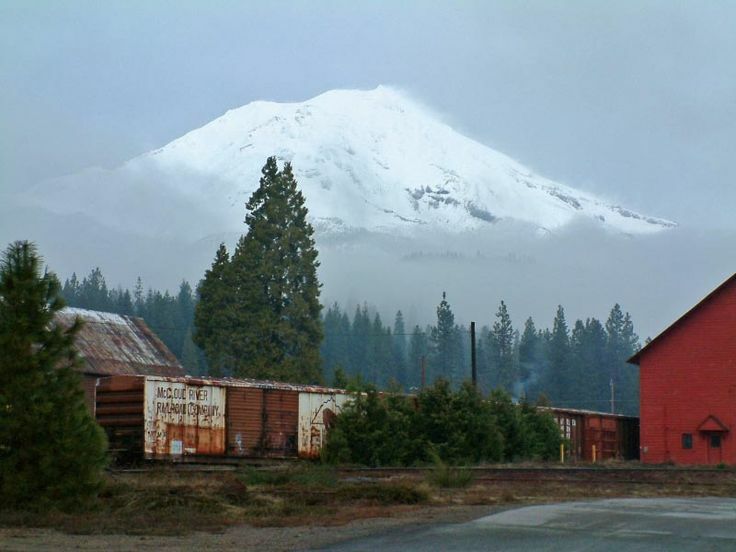 As a former company-owned lumber town, McCloud was designed to be a self-contained, full-service community. The friendly residents enjoy all the amenities and recreational opportunities which include a community park, dinner excursion train, nine-hole golf course, horseback riding club, downhill and cross-country skiing, trout fishing, hiking, and snowmobiling! 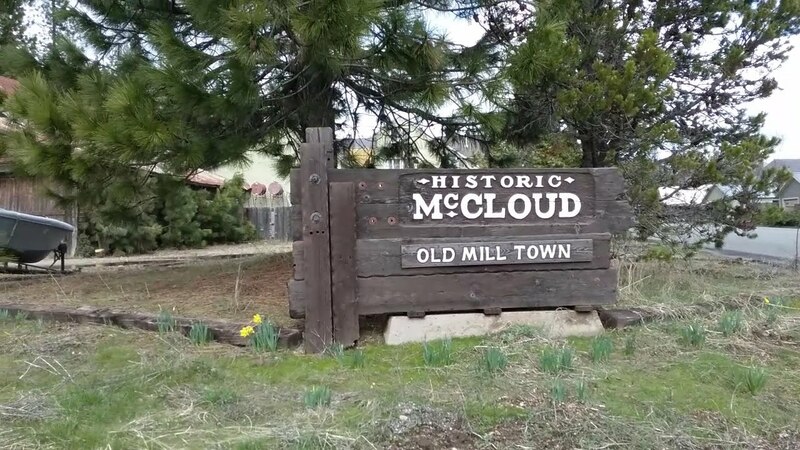 McCloud is unincorporated, therefore, the population of 1,550 in 1990 reflect the immediate rural area around the town. Wonderful inns, bed & breakfasts, restaurants, and shopping provide today’s traveler with armloads of great memories! Majestic Mt. 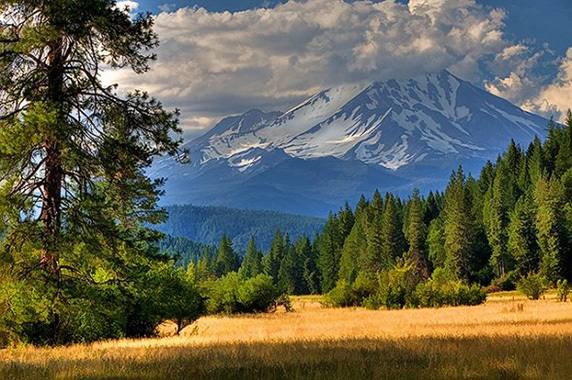 Shasta is just 12 miles away and offers mountain climbing to its 14,162 ft. peak as well as an abundance of hiking/backpacking trail through the wilderness. Visit The Mount Shasta Climber’s Guide for detailed climbing information, store, photo tour, and conditions Updates! Fishing the Nature conservancy, McCloud River or the McCloud Lake for Rainbow trout and German brown trout as well as Brook trout. 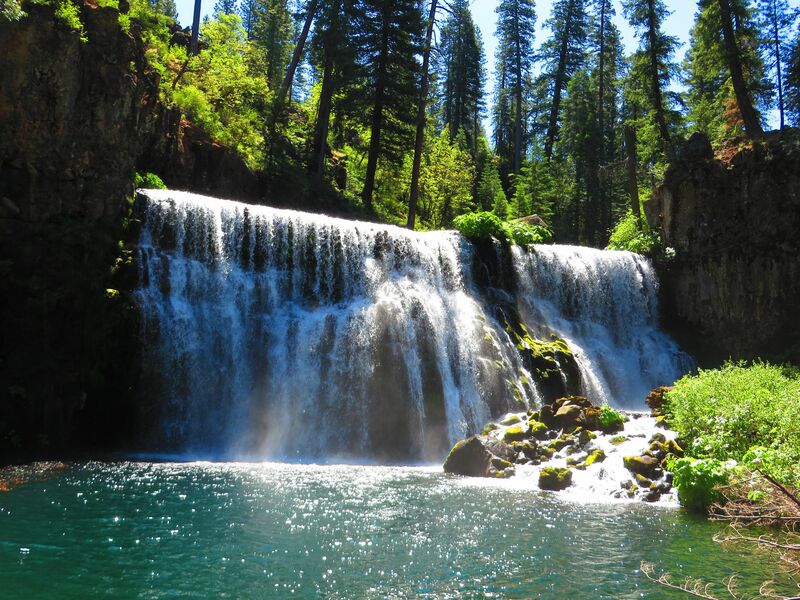 Experience camping, fishing, and swimming along the McCloud River and its Three Beautiful Waterfalls! Bicycle at Mt. Shasta Ski Park or dozens of beautiful country roads. Square and Round Dance in two beautifully restored dance halls all summer. Reminisce aboard a horse drawn buckboard or cozy up for a crisp hay ride in the fall. Highway 89, which runs past McCloud, leads to Lassen Volcanic National Park the Gateway to the Scenic Byway. Have fun at McCloud’s End of Summer Professional Logging Competition! Mt. Shasta Ski Park is just 7 miles away and boasts outstanding skiing skiers and snow-boarders. Cross country skiing is enjoyed at McCloud Flats, The Ski Park’s Nordic Ski Center or Snow Man’s Hill. Sledding provides old fashioned family fun and snowmobiles are offered for rent in McCloud. We offer fair weather and a winter wonderland of activities of all kinds. for all levels of experience. Medicine Lake: Located 33 miles off Highway 89, northeast of Bartle, offers camping, boating, and fishing. Medicine Lake is a shield volcano and offers unusual volcanic terrain as well as a beautiful, clear mountain lake for swimming and fishing access. Glass Mountain: Glass Mountain exhibits the results of multi-stage volcanic activity so recent that there has been no modification by weathering, erosion, or vegetative cover. Take care not to handle or walk on the obsidian, as a slip can cause a serious puncture or laceration. Covering 4,210 acres east of Medicine Lake, this glass flow has been designated as a Special Interest Area for its unique geological feature – glassy dacite and rhyolitic obsidian flowed from the same vent simultaneously without mixing. Our high alpine environment creates rapid weather changes. We enjoy four distinct seasons including snow during the winter. Most of the precipitation falls between mid-October and mid-May with occasional thunderstorms during our typically dry summers. Normal summer days average between 75 – 95 degrees with cool evenings. Growing Season: USDA Zone 1, Yearly Precipitation ~ 49 inches, Average Snow-fall ~ 98 inches, Average Temperature ~ 25 degrees F. in January. In 1829, a party of Hudson Bay Company trappers and explorers, led by Peter Skeen Ogden and Alexander Roderick McLeod, were the first white men to travel through the valley where McCloud now stands. In the years that followed a few hardy folks homesteaded in the beautiful Squaw Valley including Joaquin Miller, later known as the Poet of the Sierras. Wildlife viewing is a favorite pastime…enjoy beautiful Bigelow Meadow which provides a wildlife habitat for numerous birds and animals such as Stellars Jays, Western Tanagers, Oregon Juncos, Nuthatches, Clark’s Nutcrackers, Red-wing blackbirds, Wrens, and Canadian Geese. The larger mammals which can be seen are deer, ground squirrels, chipmunks, Golden mantle ground squirrels, and occasionally a black bear which are common to the area though rarely seen. For more information, visit the McCloud Chamber of Commerce.